UVM Extension, with support from the USDA’s Northeast Sustainable Agriculture Research and Education program, will offer workshops on crop storage throughout Vermont this fall. The workshops will focus on long-term storage of crops for sale through the winter and into early spring, but will be relevant to many agricultural and food storage needs. Vermont’s food systems are experiencing increased localization, value addition, diversification, extension of growing season and increased market demand year-round. Demand for local produce year-round is on the rise as demonstrated in increasing interest in winter farmers markets and winter CSA’s. 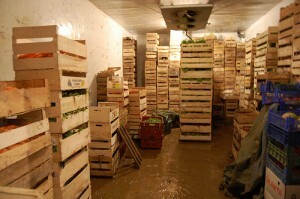 Growers are now seeing enhanced value in storing and marketing their produce year-round. Crop storage can be costly and the construction and operation of an efficient and well-designed system is essential to a farm’s profitability in winter and early spring markets. 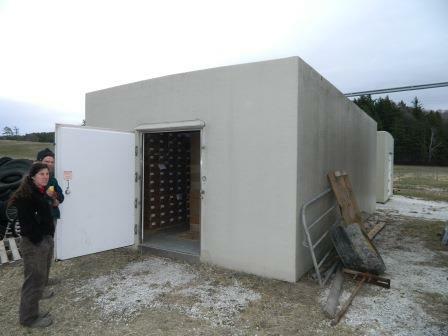 sizing and design of storage systems. The workshops will include a combination of instruction, group discussion, hands-on activities, and individual work time. Participants are encouraged to bring information on their own storage needs and plans to review with the class and instructor. 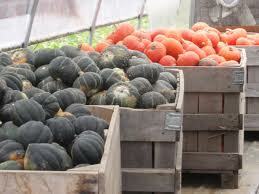 Workshops will be open to fruit and vegetable growers, aggregators, processors and distributors of all scales. Farmers who already have systems in place will benefit from an enhanced understanding of storage needs of each crop and will gain ideas about how to increase efficiency or expand existing systems. Farmers who have not yet begun to store crops will benefit from in-class work time devoted to designing an individualized system from scratch. Participants will leave with the skills and knowledge to create or enhance their crop storage systems based and the individual needs of each farm and the various crops they grow and store. A condensed, online webinar will be held on 10/15/2014 from 12:00 PM to 1:30 PM. Participants from neighboring states are encouraged to participate. To register for a workshop click the associated link above or contact the Rutland Extension office at 802-773-3349. Individuals requesting a disability-related accommodation to participate in this program should contact Pamela Lowell at 802-773-3349 by 9/24. The classes will be instructed by UVM Extension Agricultural Engineer, Chris Callahan. Chris’s work focuses on enhancing Vermont’s food systems through education and outreach programs focused on analysis, design, evaluation and adoption of infrastructure, technology and equipment that meets the needs of food producers and processors. More on the UVM Extension Agricultural Engineering program can be found at https://www.uvm.edu/extension/agriculture/agricultural_engineering and our blog at go.uvm.edu/ageng. UVM Extension helps individuals and communities put research-based knowledge to work. University of Vermont Extension, and U.S. Department of Agriculture, cooperating, offer education and employment to everyone without regard to race, color, national origin, gender, religion, age, disability, political beliefs, sexual orientation, and marital or familial status. For more information about UVM Extension, please visit www.uvm.edu/extension. Northeast Sustainable Agriculture Research and Education (NE-SARE) is a regional program of the nationwide SARE effort; SARE is part of the USDA National Institute of Food and Agriculture, or NIFA. SARE’s mission is to advance—to the whole of American agriculture—innovations that improve profitability, stewardship and quality of life by investing in groundbreaking research and education. The SARE program serves all states and Island Protectorates. To learn more about the program nationwide, visit the national SARE website at www.sare.org.